The group requested a total of $214.20 in funding: $9.20 for two trips to Providence Animal Shelter for the purpose of volunteering and training, and $205 for the semester event with a movie and discussion. Of the $205, $175 is for bringing Christopher Gervais, who is in charge of world conservation film festival. $30 is for vegan food for everyone who comes. 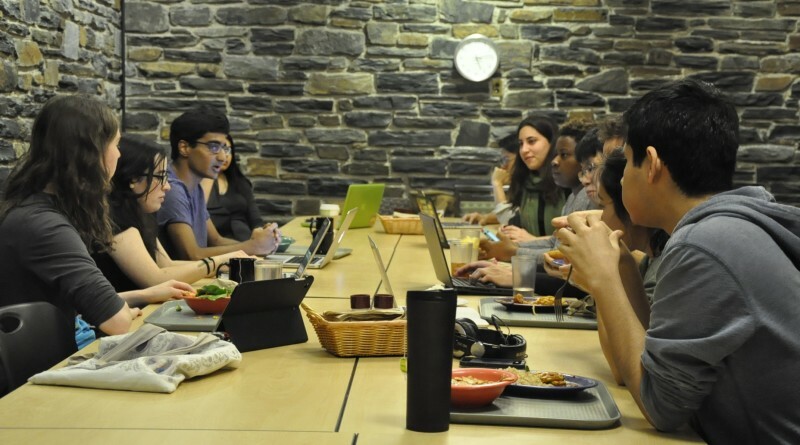 A proposal for full funding was passed unanimously, but the Committee requested that next time, the group itemize their food list. The group requested $200 to bring a Buddhist monk to campus to lead a meditation session. The event would be in conjunction with Speak 2 Swatties. The request was tabled until later in April when the group could provide a more detailed breakdown of costs. The group requested $200 for the Spring Dinneron: $150 for food, and $50 for utensils. The request was tabled, as the Committee requested that the group look for alternate sources of funding like the Intercultural Center, as SBC is the last resort source of funding, and that the group provide an itemization of costs for food and utensils. The group also requested $150 for the Rob Bucher event. Bucher is a guest speaker coming to speak on the Asian-American/Pacific-Islander AAPI experience in America. The request was tabled, as the Committee requested that the group again provide an itemization of costs. The group requested $200 for the Northeastern Collegiate Playoffs for transportation to the tournament: $120 for gas and $80 for tolls on I-95. The team has played in the tournament since 1992, but this year it got pushed back because of snowstorms. A proposal for full funding was passed unanimously. The Committee also asked that the group provide a detailed breakdown of costs for next year for spring budgeting. The group requested reallocation of $2000 in funds for purchase of a primary service server to replace the current one. The funds were initially allocated for the purchase of an HD projector. The server currently runs Cygnet and, mailing lists, etc, but is over 10 years old and might break down, which would cause major problems. A proposal for reallocation of funds was passed unanimously. The group requested $312: $32 for group supplies, $20 for transportation, $60 for all-campus events, $200 for the end-of-year banquet. The Committee noted that they don’t fund food off-campus, so the group would have to hold the banquet on-campus or have it be unde-funded. The group said that they could take a look at funding the banquet and transportation later, so they altered their request to $92 for group supplies and all-campus events. A proposal for this amount was passed unanimously. The Committee discussed the food for spring budgeting 2017. They determined that the food cap is $30 per person per day. They also discussed the restaurant options for food. They also discussed cutting funds for groups that aren’t using their full budgets or are misusing their budgets. Sid is a sophomore from Ashburn, Virginia (NoVA!) planning on double majoring in Mathematics and Economics. He enjoys backpacking, and DJ’s a radio show on WSRN-FM. You can probably catch him watching Law & Order or reading The Economist. Really? As a former treasurer, I recall begin told (rather sternly) that there was a $30 cap on food per event. A rough estimate of 8 committee members, with Spring Budgeting taking place over 3 days yields about $700 for food. Where is this food coming from? Why is it so expensive? Have they sought out alternative sources of funding (say, meal swipes)? Is there an itemized breakdown? Just saying — if SBC is going to give numerous groups a hard time about funding for food, it’s only fair that they provide the same level of introspection towards their own allocations. I was SBC assistant manager for 2015 and 2016, and was in charge spring budgeting meals both years. SBC orders food in for lunch and dinner because of the high volume of clubs that need to be seen each day. As a former treasurer, I’m sure you know that each group only gets about 10 minutes to present a budget. If we spent 10 minutes walking to Sharples, 30 minutes eating, and 10 minutes walking back for each meal, we’d lose the equivalent of 20 club slots, and would have to extend our 28 hour work weekend into a 31+ hour one to find time. While the managers and chair are paid positions, the members of the committee are not compensated for a weekend away from studying/other jobs. $15 per meal may sound expensive, but it’s hardly exorbitant, and delivery options are limited at Swarthmore if you don’t want to eat Renatos 5 meals in a row. Off the top of my head, the restaurants that did deliver are Panera and a Vietnamese place in Media. Like all groups, SBC’s budget is public, and I’m sure the current team would be happy to show students a breakdown in office hours. As for your last question, there is a reason SBC is strict about funding for food. We put a cap on food for budgetary reasons, but some clubs get an exemption if food is central to their mission. A weekly religious dinner, of course, isn’t subject to an event cap, since religious practice is the point of the group. In an ideal world, we would have the money to fund pizza for every club meeting, but since we have a limited budget, it’s more fair to limit meeting snacks or the spreads at lectures. If this long comment doesn’t make it clear, SBC gives food budgets more than a fair amount of introspection.